Apple still doesn’t have its own VR headset and we can only wonder if they're going to present one soon (if ever). This doesn't mean iPhone users aren't able to have some VR fun, though! It will cost you about $10 to get this one. As its name suggests, it's inspired by Google Cardboard and it works with most iPhones (and Android devices as well). It can be assembled in less than 10 seconds and can be easily folded to its original state - you receive a protective sleeve too! 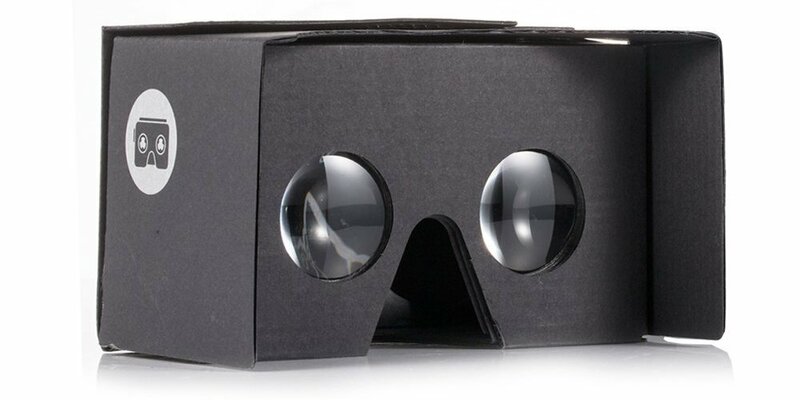 As the disclaimer for the product states, compatibilty mainly depends if the VR app used is created with Google Cardboard SDK. The headset has a touch button on the side in order to interact with VR apps. 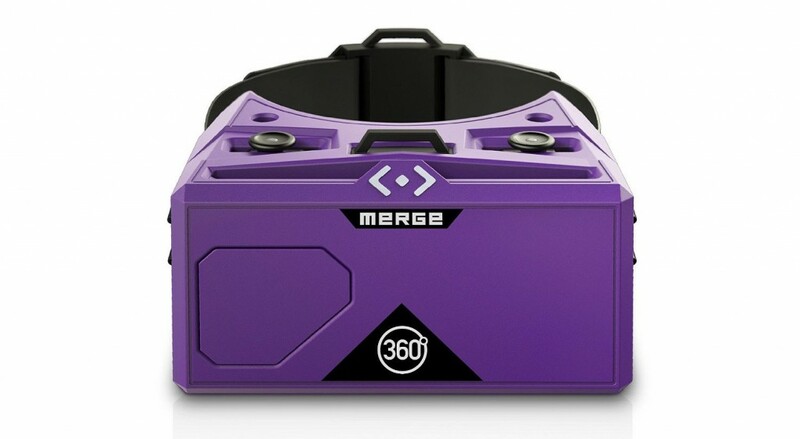 If you are ready to spend about $70 for a headset, you may very well go for Merge VR. It's a headset with simple design, made of soft, lightweight foam for maximum comfort. It's not foldable, so the risk of your iPhone falling out of it is a lot smaller. The headset features dual touch inputs compatible with VR apps, so no controllers are necessary. The toggles on the side of the headset can also let you adjust focal distance. It works with all Google Cardboard apps, and the company has promised accessoriries for the headset, which means Merge VR is a headset with a future. At least we hope so. If you were one of the lucky kids who had a View-Master stereoscope years ago, you might want to check out the View-Master Deluxe for about $35. 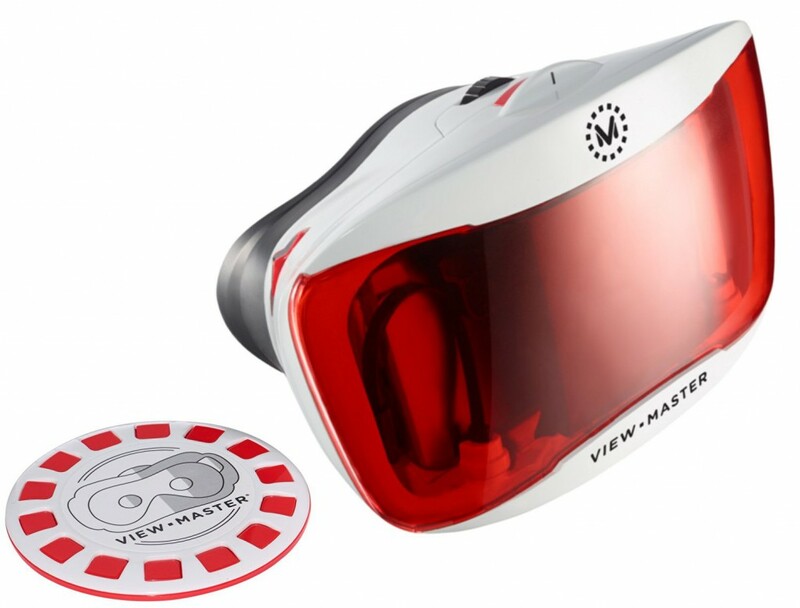 This is what the View-Master from the future looks like - a VR headset that serves as a functional Google Cardboard viewer. It has a focus wheel for focal adjustment and sharper visuals, and, unlike the iPhone 7, features a 3.5mm headphone jack. To make it all even better, the headset comes with some great educational content. If you can afford $1 for a game, spend it on End Space VR. It's a fun arcade space shooter with three space worlds to discover and conquer. We can't think of a better way to start your VR gaming epxerience on an iPhone. Shoot, destroy, upgrade, enjoy! We know, it's another shooter featuring flying but it's just way too much fun to dismiss. This time you fly a little lower than space but this way you can enjoy the lovely landscapes in the game. The game supports gaming controllers, new missions are added daily, and the game is free (with in-app purchases). It's also a reat way to start your first VR gaming experience with iPhone if you don't want to spend even a cent before you're sure you'll like it. VR experiences do not equal gaming. We love educational content, and we're happy to know there's so much educational VR apps on the market. Jurassic Virtual Reality offers a great way to introduce VR to children (and adults alike), giving a great view of different dinosaurs, complete with facts about them. If you're going to introduce someone to VR on your iPhone - we encourage you to use this instead of a horror game. Do you dive in to VR on your iPhone? What are your favorite apps? Tell us here or on our Facebook page!